We are an independent estate agent established in 1999. With in depth knowledge and experience in property sales and lettings in the local area, our highly motivated and reliable team are here to deal with all your necessary property requirements. “Excellent, friendly service expert knowledge of local market." 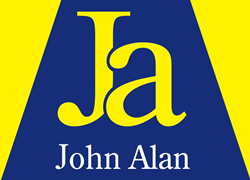 “I have used John Alan Estate Agents on several occasions to rent out my properties in Catford. On every occasion, they have found extremely good, professional clients but also in a very speedy and efficient manner. I would have no hesitation whatsoever in recommending John Alan for your property lettings."